Cricket is obviously a huge sport around the world, outside of the United States. Australia is no exception! Having both an amazing international team, as well as an 8-team club league, provides tons of opportunities to catch a spectacular match. This is one of the closest sports you can find to baseball. Picking up the basics of the sport is pretty easy, but like anything, it gets complicated when you get into the precise details and strategies! Wherever you are in Australia, be sure to look out for one of the Big Bash League’s 8 teams and catch an awesome match. The Melbourne Cricket Ground is a must see not only for cricket fans but for anybody who loves amazing places too. It is the largest cricket ground out there, the largest stadium in Australia, and is even in the top ten largest stadiums in the world. The stadium is also used for some FIFA and rugby matches, so be sure to check out an event at this amazing location. 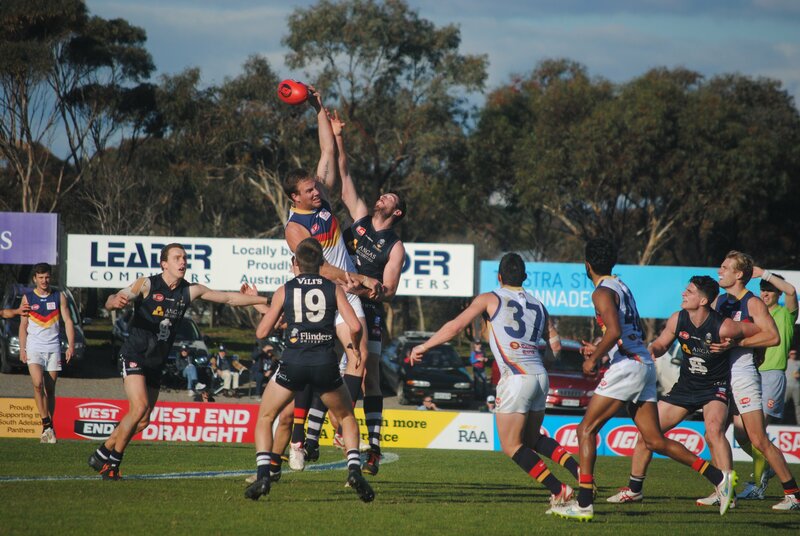 One of the most played and watched sports in Australia, Aussie Rules Football will take you a good bit of time to understand the rules completely. The sport is similar to football and rugby but is completely different all at the same time. Played using a variety of handballs, kicking, and running, this full-contact sport is sure to entertain (even if you’re still figuring out the rules). 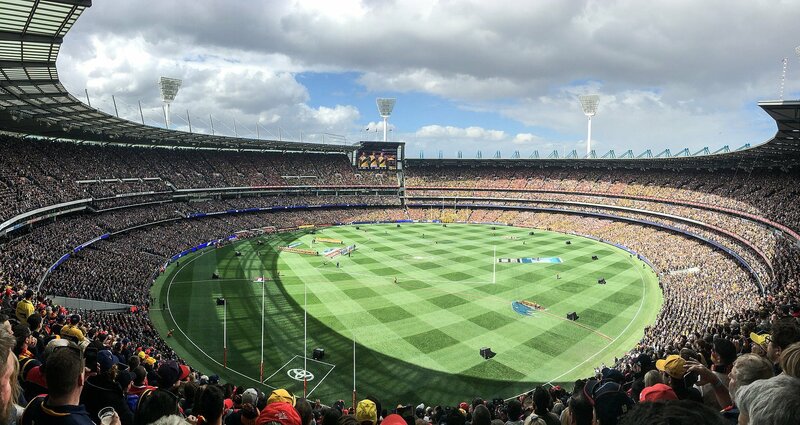 The largest event of the season, the AFL Championship, is actually played at the Melbourne Cricket Ground too! Optus Stadium just opened up in 2018 and features state of the art design and amenities. Like the Melbourne Cricket Ground, it is used for other sporting events and even concerts. If you make it out to the west coast of Australia, be sure to check out this amazing venue in Perth. 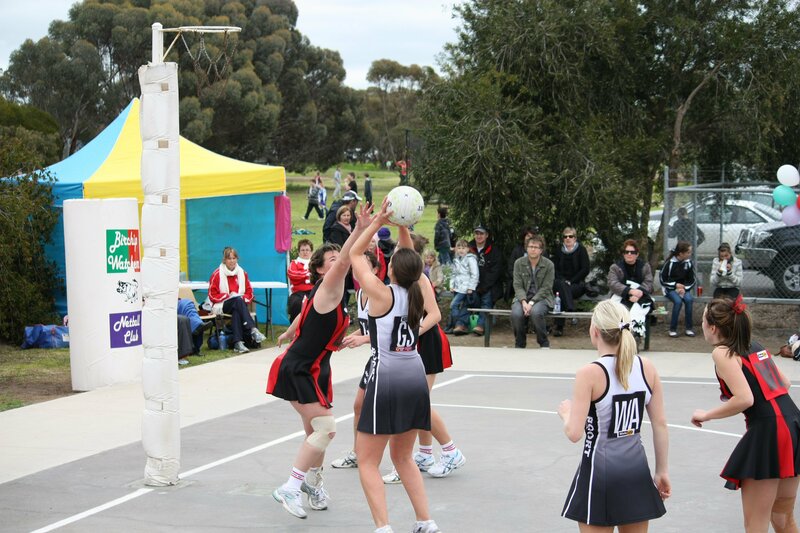 Netball is an extremely popular sport in Australia, especially for women, and is very similar to basketball. Some of the major differences are that netball teams consist of 7 players, they are not allowed to dribble the ball, and cannot hold the ball for more than 3 seconds. You’ll quickly catch on to which positions can go where on the court, making it even easier to pick up the sport. Suncorp Super Netball is the premier netball league in Australia with 8 teams across the country. Built in 1984, the Quaycentre was a venue used during the 2000 Olympics in Sydney. Located in Olympic Park, this stadium is in an awesome area to check out for all sporting fans. When taking in the history, you can also check out a netball match as the stadium is home to the New South Wales Swifts. Rugby is another massive sport in Australia that is also popular around the globe. Having two distinct variations, rugby league and rugby union, allow for fans to catch a match anywhere they go. The sport is often compared to American football, but it is still extremely unique. The ball can’t be passed forwards, meaning the only way to advance the ball is by kicking or running with it. If you’re looking for an intense full-contact sport, this one is sure to entertain. Although there are so many venues where you can catch a rugby match across its various leagues, the Sydney Cricket Ground is by far one of the oldest and most prestigious stadiums. Obviously, it hosts cricket matches, but it is also the current home of the National Rugby League’s Sydney Roosters. If you’re in Sydney, it is definitely an amazing spot to catch a match of whichever sport suits you! Formula 1 racing is the premier single-seater racing entity in the world. Races are held all over the world with a world champion being crowned based on the results of the races. The most important and biggest spectacles of F1 racing is the Grand Prix. Australia hosts one of these races, drawing out one of the best attendance totals of all the races on the calendar, you can expect over 100,000 people on race day and even more over the course of the entire weekend. 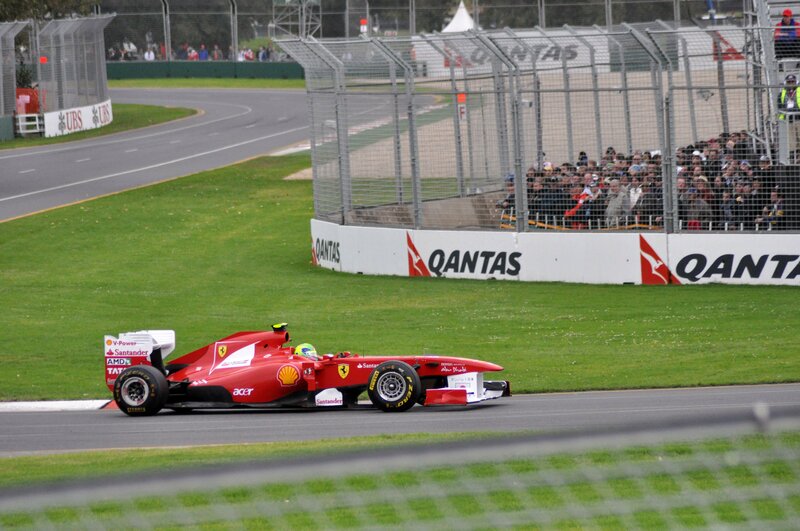 The Australian Grand Prix is held annually at the Melbourne Grand Prix Circuit. This is a massive event with a healthy mix of racing, musical performances, and plenty of food and drink. Even if you can’t make it to the Grand Prix, the circuit is still awesome to check out without a race happening. Tennis is one of the world’s most played sports by people of all ages. Not only can you grab a racket and balls to play a match yourself at any local court, but Australia is also home to many professional tennis events. 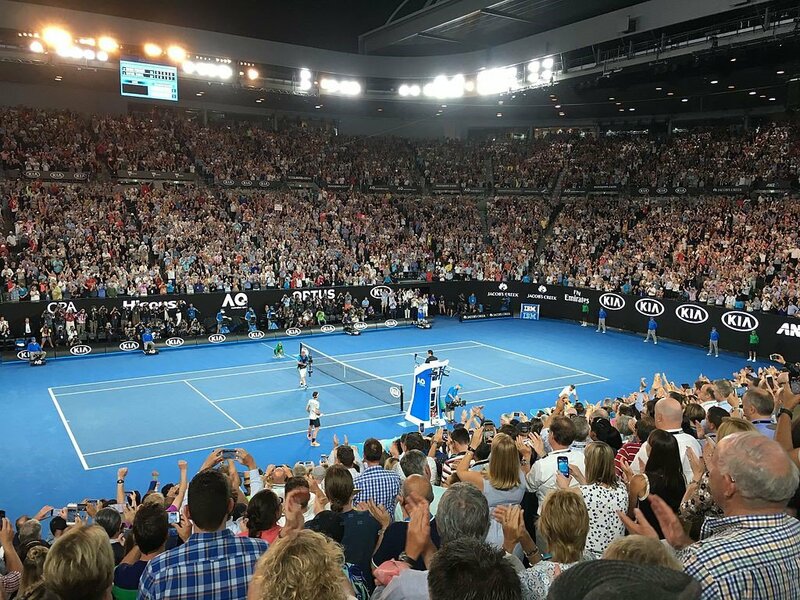 The Australian Open is the first major tournament of the year and has numerous lead-up tournaments played throughout the country (Perth, Brisbane, Hobart, and Sydney). The Australian Open is played each January to kick off the professional tour season! Held in Melbourne, the sports capital of Australia, the event drew out over 700,000 fans in 2018. 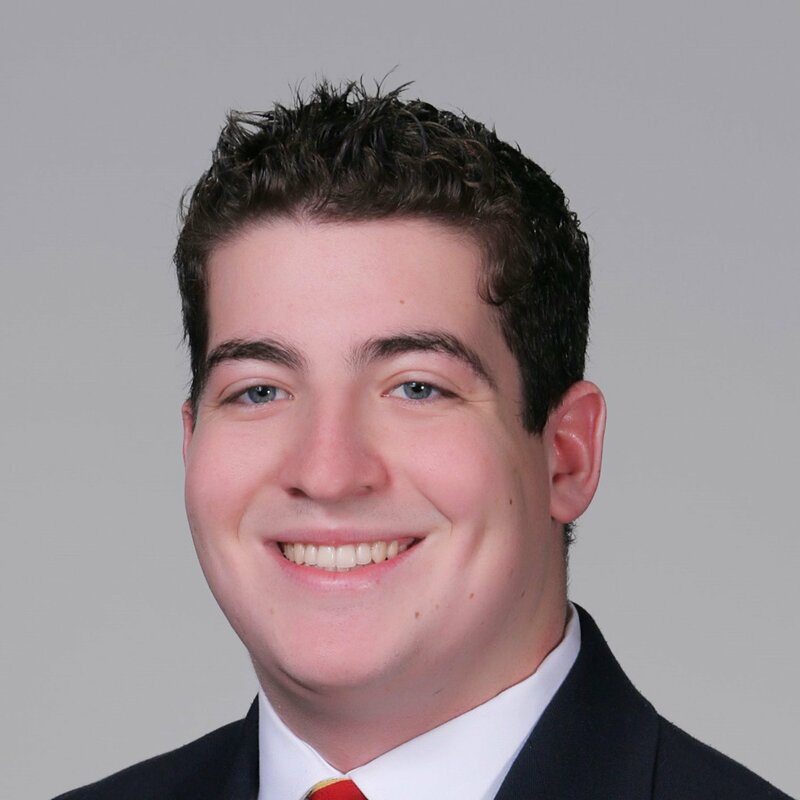 The event is held over 2 weeks offering plenty of time to catch some matches. Tickets can range in price for people wanting to go to the large stadiums to see the best players, all the way to just getting a grounds pass and checking out the outer courts! If you’re in Australia in January, this event is a must-see. Ready to check out all the awesome sports in Australia? Check out our Oz Tours for an amazing way to start your adventure down under!